Dan Dare was originally a British science fiction hero created by Frank Hampson in the 1950's. 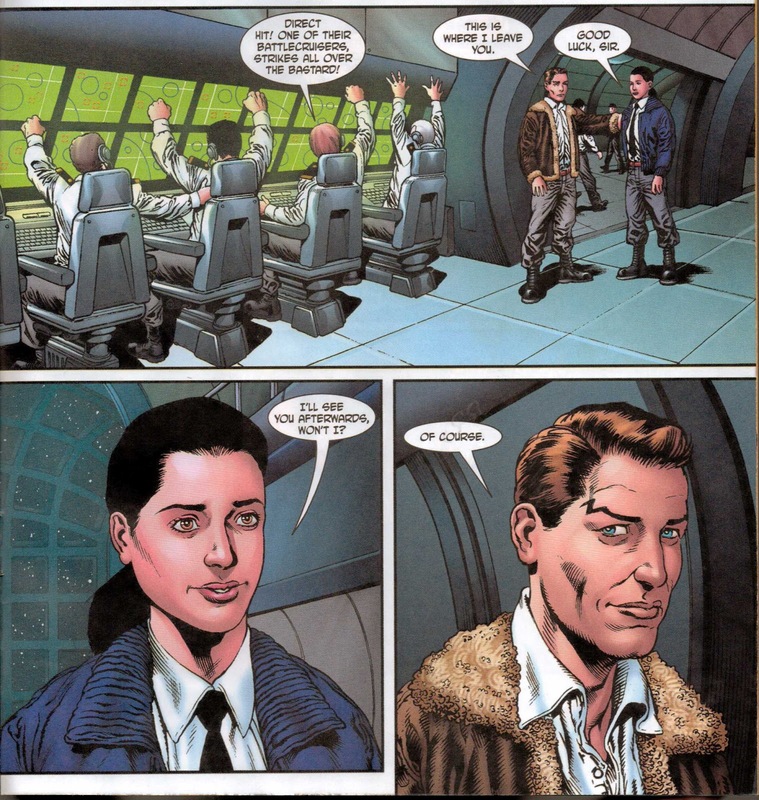 It turns out that Gabillizillionaire Richard Branson, one of the Chief Visionaries behind the now defunct Virgin Comics, was a fan of the series. 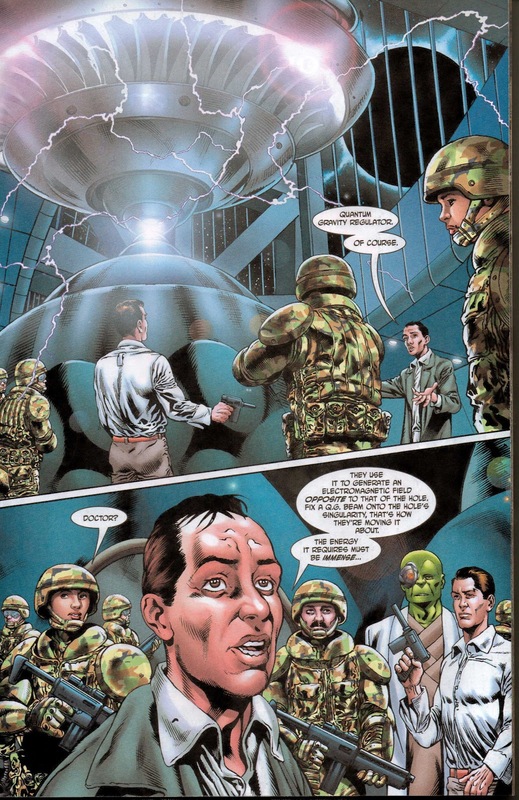 Somehow in 2008, Branson got Garth Ennis and Gary Erskine to sign on for a new Dan Dare seven issue mini-series. It may have had something to do with nostalgia. It may have had something to do with a very large paycheck. 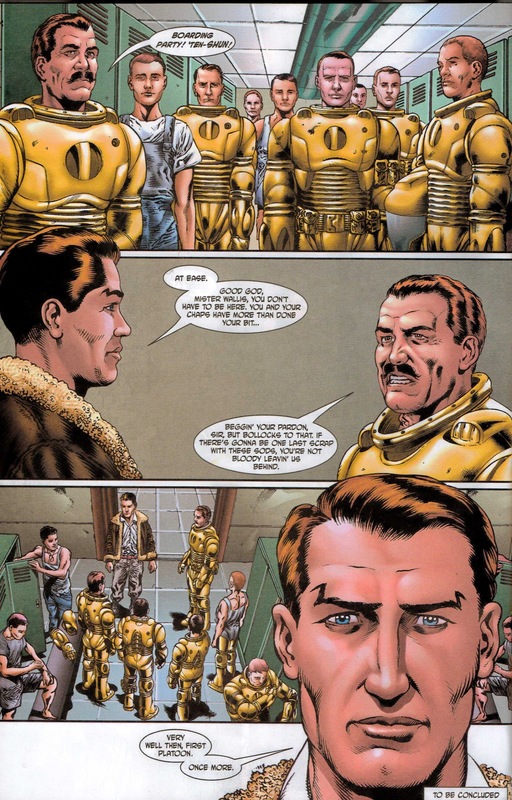 Dan Dare #6, if you were a monkey I would let you fling your poo – at children. Those of you that have read this column in the past know that I am constantly coming back to this issue – comics should do a better job of soliciting new readers by providing context to their story-lines. Every comic has the potential to be someone's first. Why not welcome these new readers? 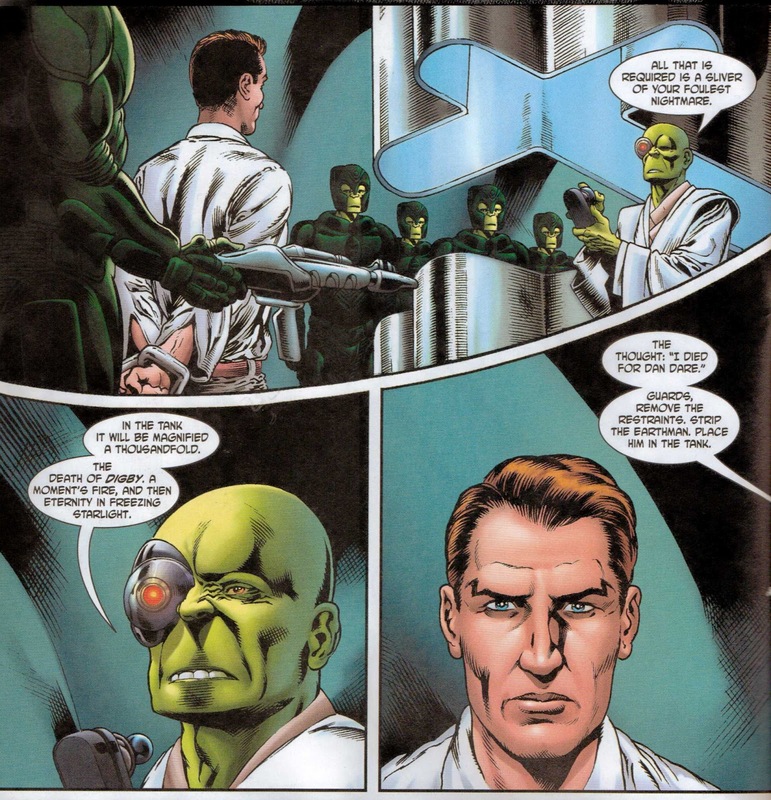 Dan Dare, officer of the International Space Fleet, retired after saving Earth from “total annihilation.” When his arch nemesis, the Mekon (former dictator of the Treen), threatened everyone and everything with a harnessed black hole, Dare and his sidekick Albert Digby, set out to save the world again. After hitching a ride on the H.M.S. Achilles and meeting Sub Lieutenant Christian, Dare and Digby go through some hair-raising adventures which culminate in Digby's death from going kamikaze on a Treen destroyer. 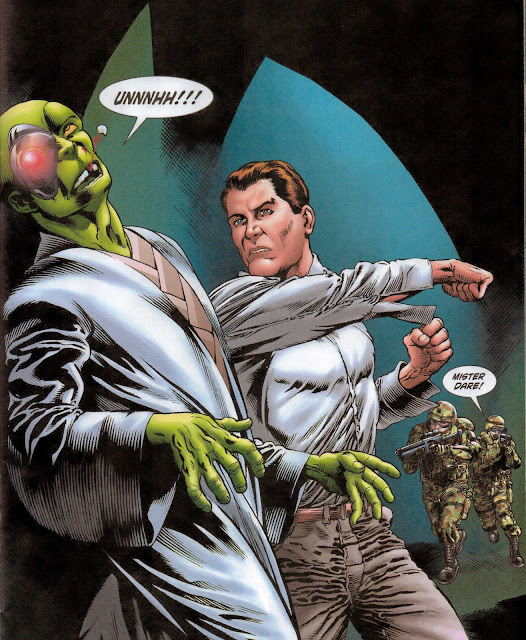 To try to broker peace, as well as infiltrate the Mekon's flagship, Dare turns himself over to his enemy who sends him to the torture chamber. 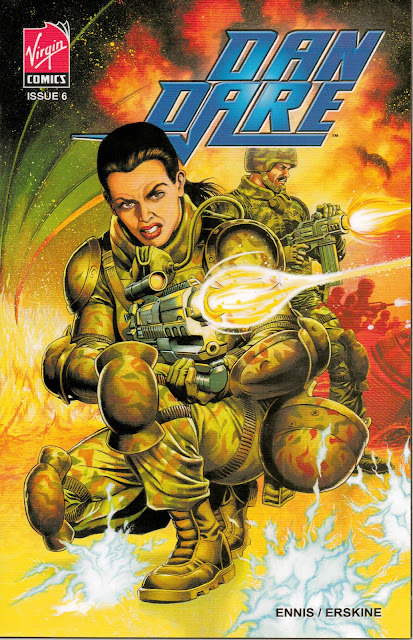 Dare, though, is wearing a tracer, allowing a “crack team of marines” to make a light-jump into the Mekon's ship. That sounds like five issues of awesome to me. I, for one, can't wait to see what happens next. But wait... Is this actually decent treatment? 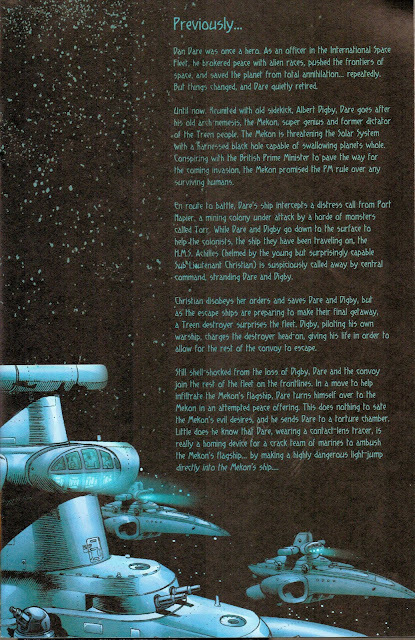 Dan Dare promised decent treatment. Did Dan Dare lie? Dan Dare Doesn't Deal in Deception or Dishonesty. Now freed, Dare starts giving orders. The first one, take out the WMD that the Mekon has been using to threaten the solar system – the black hole. Dare and his men are able to escape. Word of this gets back to the Mekon. He's none too pleased. In order to finally take it to the Mekon, Dare pulls a page from his buddy Digby's playbook and tells everyone that they're going to go straight at him. 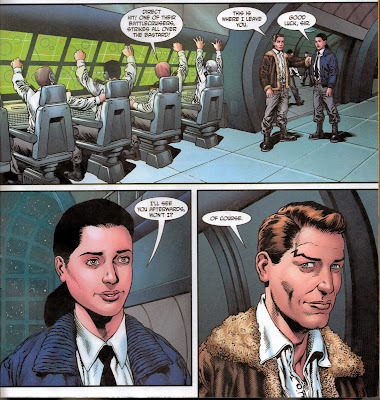 Have I mentioned how much I love Dan Dare's leather bomber jacket? I should really get one, so I can swagger around like nobody's business and say things like, “Dan Elkin Never Lies.” Imagine the respect I could get. This strategy seems to work as planned and Team Dare cripples one of the Mekon's Battlecruisers. 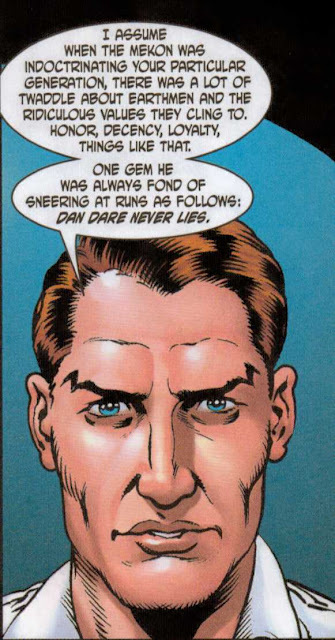 There seems to be this sexual tension between young sub-lieutenant Christian and our man, Daddy Dan Dare. This may or may not be creepy, depending on your view of older men hooking up with younger women. It worked for Harrison Ford in that last Indiana Jones movie (he was wearing a leather jacket), but if you look at Hef's life lately you can't help but shudder. 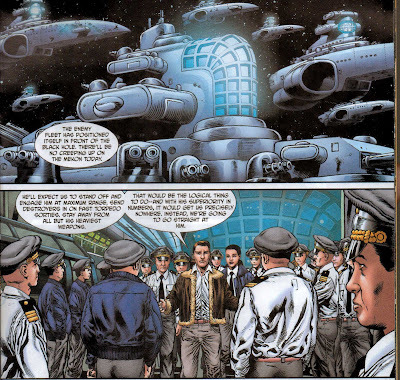 You got to love the British nonchalance of Dan Dare and the rest of these blokes. Here they are, about to teleport into the enemy's own ship and it's almost as if they are discussing the results of the latest cricket match or which Indian restaurant serves the best Navaratna Korma. I love this comic. Dan Dare is my kind of hero and a throwback to an era of cool that just doesn't exist anymore. Why has a calm demeanor in the face of adversity disappeared in our heroes, replaced in favor of all that yelling that happens nowadays? What happened to our quiet action hero? Our classy action hero? I have come to expect things like this from Ennis. 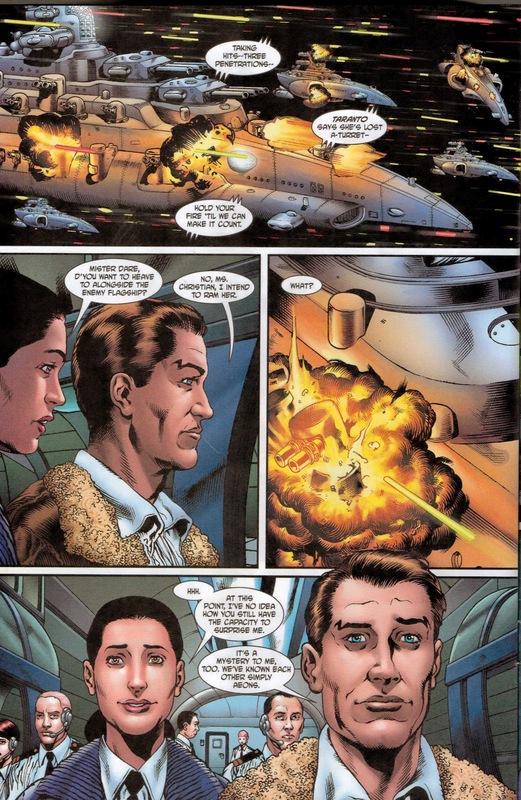 Something about the Dan Dare character must have struck Ennis though, as there is nothing puerile or gratuitous about him. 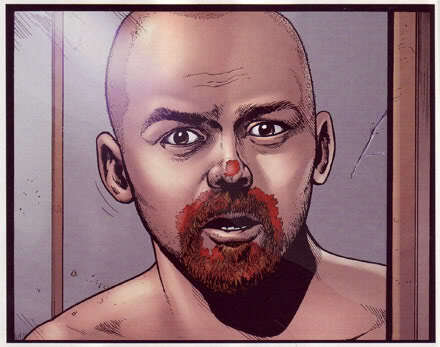 Ennis captured this fellow's heroism in a manner that just exhales “class”. Hmmmm.... Maybe that is why it ended up in the bargain bin. Post Script: I did some research and apparently Dynamite Entertainment felt as strongly about Ennis' take on the adventures of Dan Dare as I did and has released the full run in trade format.